Cover illustration for the 1955 to 1958 Charbens catalogues. 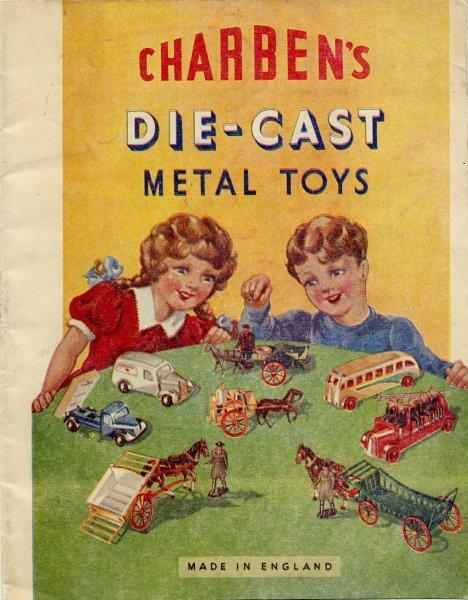 This series of articles originally appeared in Diecast Collector magazine from November 2006 to February 2007 (covering the post-war models) and in July and August 2007 (pre-war models). This online version has updates (shown in blue). If you would like to contribute additional information and/or photographs of items or variations which are not shown, please e-mail me. 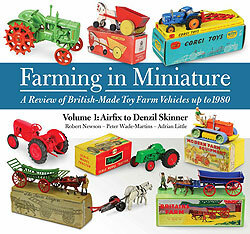 Farming in Miniature is a fantastic new book about British-made toy tractors, implements and horse-drawn farm vehicles. It covers the Charbens farm vehicles in much greater detail than on this website.